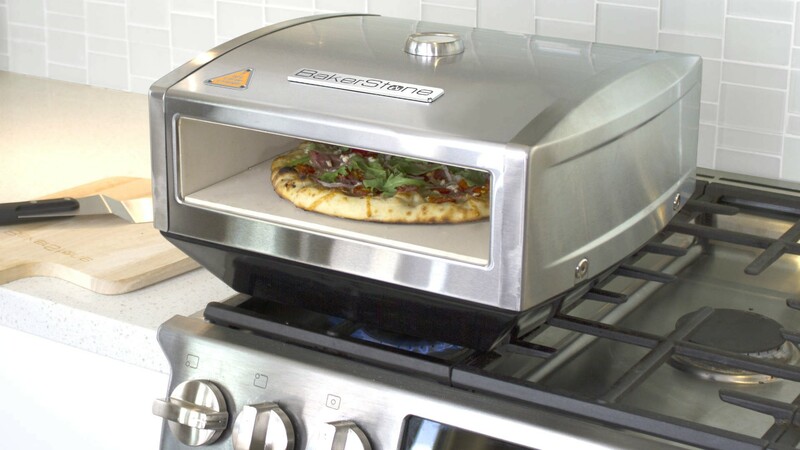 This grilling accessory transforms your stovetop into a wood-fired pizza oven. One of the most universally loved foods has to be pizza. With a topping for every taste bud and time of day, there's never a bad time to order a pie. And while pizza is still good even when it's bad, there's nothing quite like a slice that's fresh out of a wood-fired pizza oven. The BakerStone Pizza Box has created the perfect option for pizza-lovers who want an authentic taste from their own kitchen. It cooks food at about 600-800 degrees Celsius, matching that of a wood-fired pizza oven – without the necessary real estate. The box is compact and fits on just about any three-burner or larger gas grill (you can even use it on your BBQ). Forget awkward cables or gas; simply place on your stovetop, turn the burner up high and wait for the needle to reach the right temperature. Fresh pizza cooks in about 2-4 minutes and the kit comes with a wooden peel and a spatula, so you can manoeuvre your 'za in and out of the oven with ease. Plus, it doesn't just bake pizza. 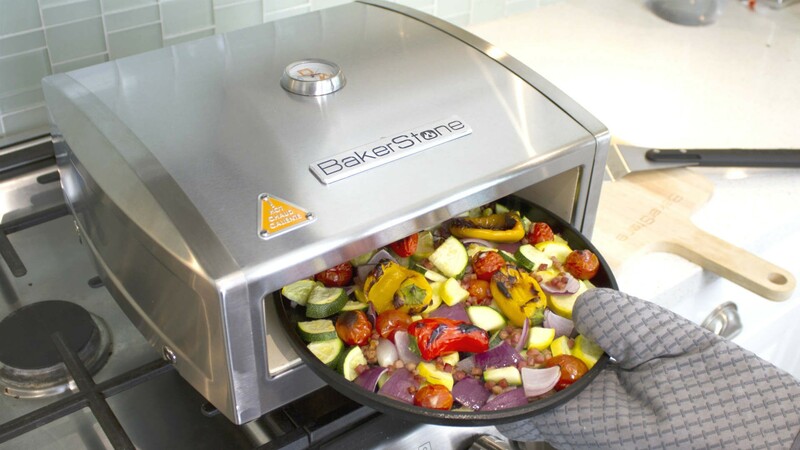 The BakerStone also makes bread and cookies and has the potential to roast meat and fish. Or use a metal dish to cook veggies at lightning quick speed.